This week I will be in Chicago for 2 days and Seattle for 2 days. It is going to be a very busy, but productive work week . I’m ready to take it on and crush it! Last week on IG I posted that I would be sharing some of the hottest jumpsuits for fall. I always keep my promises. With colder temperatures I opt for the oh so fabulous Jumpsuit because they cover more of the body. Staying warm in the winter months while still looking chic is never a bad thing. Jumpsuits are a great transitional piece of clothing that are chic, stylish and the perfect statement look for those holiday parties. If you are feeling stuck on how to wear a jumpsuit in the winter months, I am here to help you. Add a wide statement belt for a Glam look. If its an all black jumpsuit add a statement shoe ~bright color, shoes that sparkle or keep it all black like I did (see pics above). Add a blazer for a more polished look. Opt for a bright color jumpsuit~ red or gold is perfect for the holiday season. Layer with a beautiful leather jacket. 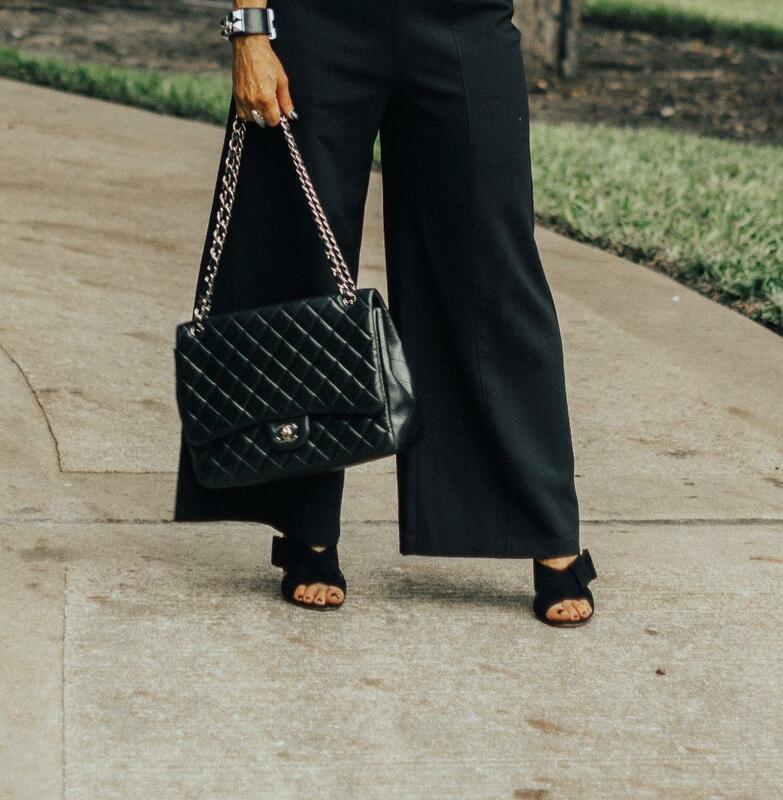 Dolls whether your jumpsuit is wide leg, cropped, bare shoulders, or all black you are now equipped with tips on how to style your favorite jumpsuit. The LBJ pictured above can be purchased HERE As an FYI I am wearing a small. Oh and guess what? Its now on sale!! Woohoo!! The Gianvito Rossi heels I am wearing are no longer available but similar HERE and HERE. Let me know which is your favorite and please tag me in your purchases so I can repost in my stories. Happy Shopping Dolls. I will be posting more holiday Inspo stay tuned doll. I am loving the jumpsuit trend!! All your tips for how to style them are helpful too ❤️ Crush this week!! OMG I love this jumpsuit girl!! U look great in this amazing jumpsuit! ? Thank you! Its so comfy! I love Jumpsuits and this one is my new favorite.